3 a.m., and I’m having a conversation with my husband about aliens & the universe — as you do. I tell him all about the amazing Octavia E. Butler and her stories of alien DNA artistry, and about how I don’t believe in synchronicity, and also (random) how much I dislike installation art. 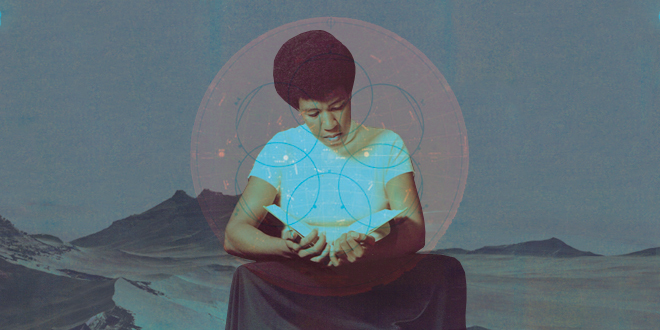 10 a.m., I get an email from a friend letting me know about an upcoming installation-art exhibition in Pasadena, based on Octavia Butler’s work. Either way, I’ll definitely go and try to overcome my installation-art aversion (maybe I’ve just never met the right exhibition?). Here’s the details, if you’ll be in California soon and love this woman’s work as much as I do! And if you want to do what the aliens are telling you.